Do you need energy efficient windows for your home in Atlanta, Georgia? Are you tired of paying too much for your energy bills due to your home’s old single paned wood windows? If so, turn to the experts at Georgia Wood Windows. Our fully licensed and insured company has been professionally installing Monarch high-efficiency, Low-E wood windows into homes in Atlanta since 2002. We take pride in helping homeowners improve the appearance of their homes while at the same time conserving energy and saving money. Monarch Low-E home windows and doors are among the most energy efficient on the market and meet or beat the estimated Energy Star requirements for 2014, today. They come standard with Low-E coating and low-conductance gas fillings that help to keep the heat out during summer and the heat in during winter. Combining Low-E coatings with low-conductance gas fillings boosts energy efficiency by nearly 100% over clear gas. Since single paned windows account for 30% to 45% of your energy bills, this represents a significant cost savings. How much does it cost to replace the windows in your home with high-efficiency, Low-E Monarch wood windows? Not as much as you might think. Georgia Wood Windows offers a turnkey solution at a price that is surprisingly close to the price of vinyl windows. By offering the Monarch’s Clip-Pak Sash and Balance Replacement System, we are able to provide a full service, quality installation for a fraction of the cost of replacing the entire window. Our experienced, in-house crew does the painting and installation, thus providing a seamless transition from start to finish. If you are ready to replace the windows in your home and start saving energy and money, please give us a call today. We are happy to come to your home, measure your windows and provide you with a competitive quote. If you give us some measurements and quantities, we can even give you a free estimate over the phone. We look forward to meeting you and to exceeding your expectations. 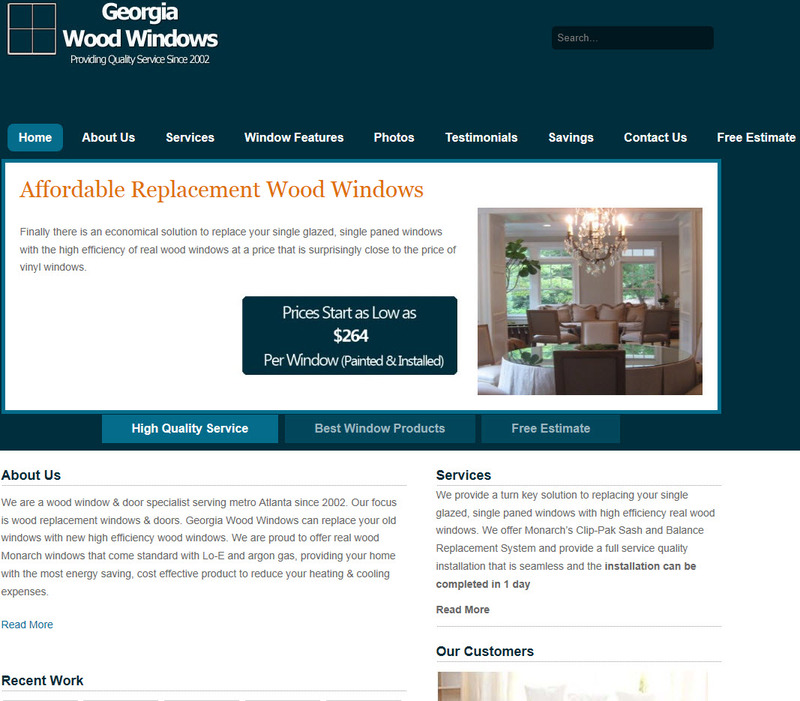 Georgia Wood Windows provides affordable window replacement services utilizing licensed contractors to the residents of Metro Atlanta and the surrounding areas.